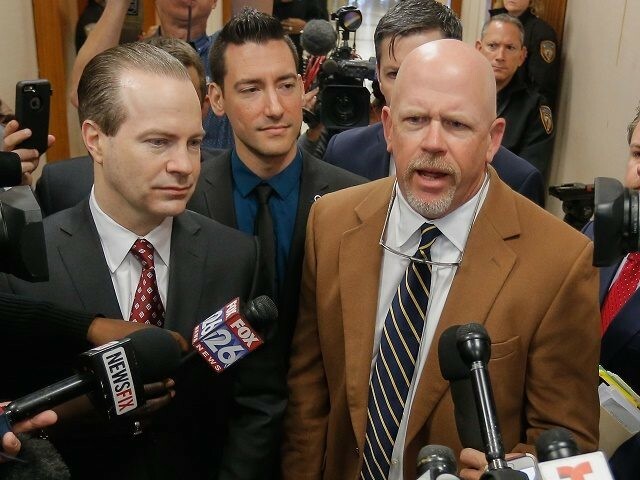 HOUSTON, Texas — One of the charges against the pro-life Planned Parenthood video maker has been dropped. Lawyers for David Daleiden provided Breitbart Texas with a copy of the order from the Harris County criminal court judge dismissing the Class A misdemeanor charge for prohibition of the purchase and sale of human organs. The judge ruled that the court does not have jurisdiction over the case. The judge ruled that the indictment was based on Texas Penal Code section 48.02 but the indictment did not reference the exception named within the Penal Code section. The judge ruled that “The indictment’s failure to negate this exception renders it void.” A prosecutor must negate the existence of this exception and prove beyond a reasonable doubt the defendant’s conduct does not fall within the exception. Earlier articles reported that the D.A. was merely pursuing where the grand jury wished to go. It will be interesting to see if she tries to refile on the charge. Daleiden’s other lawyer, Terry Yates, told Breitbart Texas, “I think the judge’s ruling is very sound. She came to her conclusion before addressing the arguments in the motions to quash the indictment.” He said there were many good legal reasons for dismissing the charges laid out in their motions. As reported by Breitbart Texas in mid-April, Daleiden’s lawyers filed motions to quash his indictments urging that the Planned Parenthood lawyer, Josh Schaffer, boasted during a press conference that prosecutors maintained a “dialogue” with him “throughout” the grand jury proceedings and told him that the grand jury’s focus later “shifted” to Daleiden. Schaffer admits in his affidavit that he told the prosecutor that he believed Daleiden and Merritt had broken the law for felony tampering with a government document, and that Daleiden had committed a crime by offering to buy fetal tissue. In addition, Daleiden’s lawyers urged that the District Attorney did not follow the law when she told Planned Parenthood and National Abortion Federal lawyers that Daleiden and Merritt had been indicted by a grand jury. The move by the DA to tell abortion mill lawyers of the indictments at that point has been called by defense lawyers “an unusual move.” The response to Daleiden’s motions filed by the DA admits that her office did not follow the Texas Code of Criminal Procedure but said that the oversight was a technical violation that cannot serve as a basis for quashing the indictments. The DA’s response is attached to the Breitbart Texas article. The indictments of Daleiden and Merritt surprised pro-life advocates who expected that an investigation of Planned Parenthood Gulf Coast in Houston would result in criminal action against Planned Parenthood executives for selling baby body parts. Anti-abortion activists started a petition drive that asks Harris County District Attorney Devon Anderson to drop the charges. Felony charges against Daleiden and Merritt are still pending for tampering with a government document in association with the alleged use of fake driver licenses.